"Let me help you insure quality leisure time with the right real estate selection." Bill is a licensed real-estate agent in the state of Minnesota. Bill sells recreational property in the Brainerd Lakes Area and has lived in the Brainerd area since 1975. He resides on the West side of Gull Lake. A Multi-million dollar producer, Bill has been selling real estate in the Brainerd Lakes Area since 1992. Bill is a member of, and past President of the Greater Lakes Association of Realtors. He has searved on the Board of Directors for the State Association. 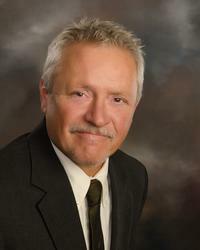 Bill was "Realtor of the Year" for the Greater Lakes Association in 2001 and recently served two years as President of the Multiple Listing Service. Bill is an e-PRO certified agent. Bill is also a Certified Distressed Property Expert and can help distressed home owners avoid foreclosures. Locally, Bill is the past President of the Brainerd Jaycees and the Brainerd Lakes Area Lions. He also searved from 1998 till 2007 as the President of the Gull Chain of Lakes Association. www.gullchainoflakesassociation.org Drop Bill a line or give him a call today!